Gymnast Ashley Rich poses with her medal after placing first on vault. 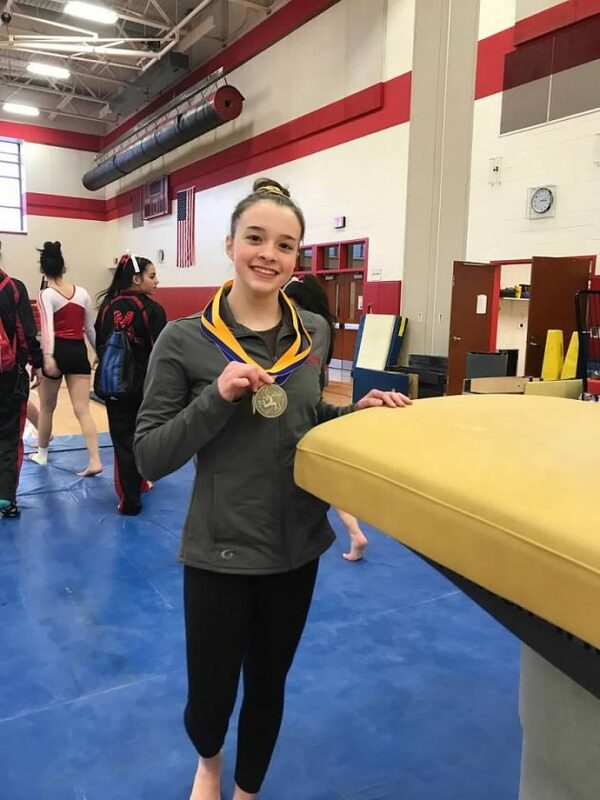 Gymnasts from the Lock Haven Area YMCA Gymnastics Team represented their local high schools and competed at the PA Classic on Feb. 23 at Moon High School in Moon Township, PA. 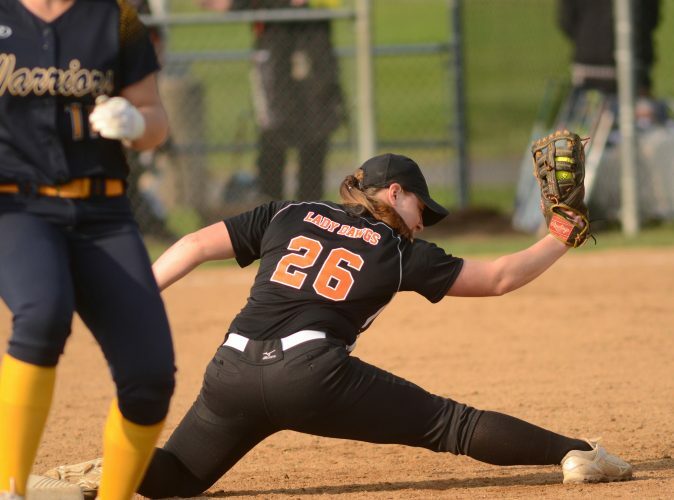 The event serves as the Pennsylvania State Championships for PIAA sanctioned high school gymnastics. In order to qualify to compete at the event, gymnasts must attain certain scores throughout the season. Central Mountain gymnast Ashley Rich competed in the Silver Division and placed first on vault (9.15) and 11th in the All Around (32.808) making her the second state champion gymnast from Central Mountain High School in the past two seasons, and the third all-time in the history of the school. The following Central Mountain gymnasts also competed in the Silver Division: Hunter Barger scored an 8.167 on vault and an 8.0 on floor, Harleigh Andrews scored an 8.3 at vault and 7.5 at bars, Alyssa VanGorder scored 8.333 on vault and a 7.65 on beam, Hannah Brown scored 7.783 on floor and a 6.55 on beam. Also, Sugar Valley Rural Charter School gymnast Emma Lee Fox competed in the Silver Division and scored 8.2 on floor, 7.867 on vault and 7.225 on beam. Central Mountain gymnast Tatum Malone competed in the Gold Division and placed fifth on the vault (9.117). This concludes the Lock Haven Area YMCA Gymnastics Team’s season.